3X points on groceries is huge for us. Its pretty safe to say all us spend quite a bit on groceries. So this is a major spend category for us and I wanted to find a card that provided bonus points for this category. The AMEX Everyday Preferred did this and I’m happy with it. Please note the annual spending cap on Groceries is $6,000 for the year. The card also earns 2X points on Gas. Which is crucial for me since I have the Chase Sapphire Reserve card and unfortunately there are no bonus points for gas with that credit card. Now, the most exciting feature of this card. The 50% bonus points when you have more than 30 transactions in a month. I love this because its like a game every month. We always try to plan how we are going to meet the 30 transactions. Surprisingly, it was really easy for us. My wife is an authorized user so for all spending, 30 transactions came easily. Now, I understand for others it make be difficult, but simply split up your purchases. For example, fill your gas tank every week, get your groceries throughout the week and many other ways! 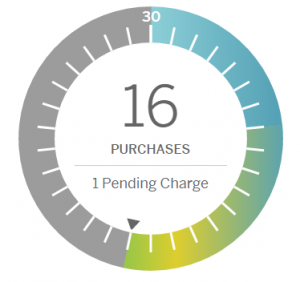 When you login into your account, AMEX has a cool feature where they keep track of many purchases you have made so far and how close you are to your goal. Now look at those bonus categories. 4.5X points on Groceries? Sign me up! Please note the card has a $95 annual fee and foreign transaction fees. So I definitely won’t be using this on my upcoming Trip Around the World. The Chase Sapphire Reserve will be my go to card there. One downside, is that for whatever reason, your 50% bonus don’t show up in our AMEX Membership Rewards account until 6-8 weeks after your billing statement. Not a huge downside, but something to note. 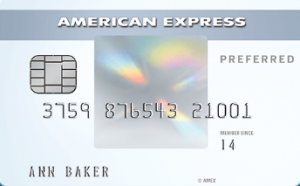 Do you have the AMEX Preferred Credit Card? Are you thinking of applying?